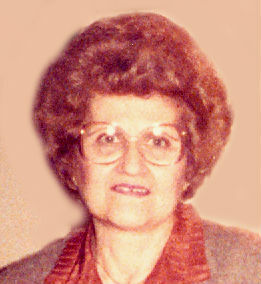 Obituary for Ethel (Paneris) Mappas | Dalfonso - Billick Funeral Home Inc. It is with a heavy heart we announce the recent passing of Ethel Mappas in Easton, Maryland while visiting with her son John M. Mappas. Mrs. Mappas would have been 97 in March. Mrs. Mappas, who loved to travel, normally spent four months a year in Maryland, four months in California with her daughter Cathy, and four months in the Mon Valley. While spending time with her daughter, they visited most of the western United States and traveled several times abroad to Greece, Italy, and France. Mrs. Mappas was a life long member of St. Spyridon Greek Orthodox Church in Monessen and had previously been a part time employee for the former Costas Catering in Donora. She was the daughter of the late Nick and Katina (Boubaris) Paneris. Her husband Michael Mappas, preceded her in death by 60 years dying on April 4, 1959 after an accident in the Donora mill. She is survived by her three children, Nick M. and his wife Kathleen Mappas, John M. Mappas and Catherine Mappas. Private funeral services were held in Dalfonso-Billick Funeral Home Inc. with Rev. Stephan Gresh officiating. She was laid to rest next to her husband in Grandview Cemetery, Monessen. Memorials in Mrs. Mappas's name can be made to St. Spyridon Greek Orthodox Church, 119 St. Spyridon Lane Monessen, PA 15062. Arrangements entrusted to Dalfonso-Billick Funeral Home Inc. and Cremation Services, 441 Reed Ave. Monessen. Condolences accepted for the family at www.dalfonso-billick.com.